I don’t know who once said that art begets art, but that has always been true for me in my creative process. There’s nothing like a particularly evocative painting or piece of music to inspire scenes, mood, or even character in my writing. 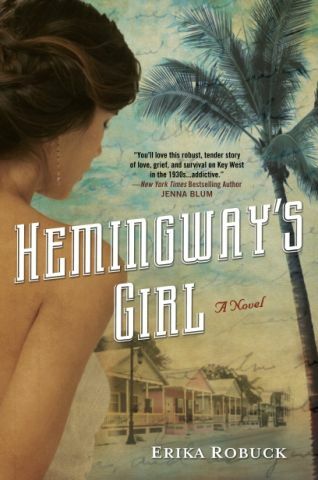 My latest novel, Hemingway’s Girl, is set in Key West in 1935, when a half-Cuban woman goes to work for Ernest Hemingway to support her widowed mother and sisters, and save money to start her own charter fishing boat business. Soon after she becomes Hemingway’s housekeeper, she finds herself torn between the writer and a WWI veteran and boxer working on the Overseas Highway. Like the other novels I’ve written, music was integral to my creation of this work, particularly in the areas of temperature, time, and theme. In Hemingway’s Girl, the characters and the time period are warm, passionate, and colorful. From the Spanish-speaking Cuban mother, to the dark bars and boxing matches in town, to boating under the blazing sun on the Gulf of Mexico, Hemingway’s Girl simmers with tropical heat. Nothing captures that simmering intensity for me better than Spanish classical guitar music, specifically by Manuel Ponce and David Russell. Both composers’ blends of sultry guitar riffs, moody reflective measures, and sudden bursts of sound and scale matched my characters and their volatility. One of my characters is an amputee from WWI, and he plays Ponce’s Suite in A Minor on his guitar to convey his emotions associated with his passionate love of life and pain over his loss, just as my protagonist’s widowed mother plays the song on her gramophone. I named the song in the text as a frame of reference for the reader with the hopes of sending my audience searching for the music that inspired me, and to convey the heat I felt while writing it. Writing historical fiction while living in the present day, with three sons running around the house, is a special challenge. When I step into the writing zone, I put down a sippy cup and pick up a metaphorical long, pearly cigarette holder. I don’t actually smoke, but the act of turning from my life to the past happens more seamlessly in the context of prop and music. While writing Hemingway’s Girl, one of the songs that grounded me in the thirties was All Through the Night by Cole Porter. It came on a Pandora mix one night while I was writing, and inspired a scene where my protagonist first danced with the boxer. The song is so intimate and filled with longing that I was able to get lost in a moment where two people began to understand the depth of their feelings for each other. The music opened up a new avenue for me in the story because, until hearing it, I couldn’t figure out how to transition their relationship from casual friendship to the beginnings of love. It was the music that made the scene. Ernest Hemingway once said that he used words the way that Bach used notes. He said that he studied Cezanne until he could paint a landscape with words the way the artist could with his brush. Hemingway felt the connection between art forms and recognized their power. It is my hope that the music in the creation and product of my novel enhances the themes in the story. 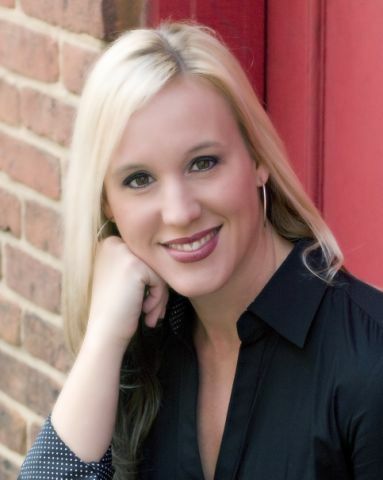 Erika Robuck is a guest blogger at Writer Unboxed and has her own historical fiction blog called Muse. Her novel, Hemingway’s Girl, was published in September 2012 by NAL/Penguin, and will be followed by Call Me Zelda in 2013. Connect on her website, www.erikarobuck.com, Twitter @ErikaRobuck, or on Facebook. GIVEAWAY Erika is giving away one signed copy of Hemingway’s Girl to a commenter here… so be sure to say hello! This entry was posted on October 3, 2012, 6:41 am and is filed under Undercover Soundtrack. You can follow any responses to this entry through RSS 2.0. You can leave a response, or trackback from your own site. Erika your prose is beautiful. I love the images and your visceral words about “temperature, time and theme”. It is also powerful how you talk about holding a certain object which then transports you to a certain place in time. Magical and yet so earthly. Thank you, Beth. It feels magical sometimes. Thanks also to Roz for inviting you! The Undercover Soundtrack is a weekly high in reminding us of why we write! Philippa, hello! I was just saying in a far corner of Facebook how it gives me a creative boost every time I find a new Undercover Soundtrack in my inbox. I love the details Erika builds up in this post – and I didn’t suspect Hemingway himself would be quite such a perfect fit for arts-crossing writers. Thanks for commemorating this in your own style too! I’m with Beth, Erika, gorgeously written piece. And I love the thought of ‘temperature, time and theme.’ Don’t you just love the serendipity of having a certain piece of music match up to a scene?! Great stuff! Thanks for having her, Roz! Hey Vaughn, good to see you here! Erika certainly makes her material swing and sizzle in this piece. Thanks, Vaughn! I love serendipity. Wonderful post, thank you. I love the serendipity of hearing an unexpected song and feeling it spark a new scene, a new mood, or even just an inner smile at the creativity that exists in the world. It’s one of the reasons for which I like to write in coffee shops. Music (and dance) are at the root of my novel, Faint Promise of Rain, and my work in progress features an Indian musician in the 1850s. I can’t really imagine there not being a role for music, and musicality, in my writing. Thanks, Anjali! When I first started using music for my writing it was an accidental discovery. I since found so many writers who use it – and am endlessly fascinated by what it says about their work. Come back again – we do this every week. Thanks for your comment, Anjali! It’s amazing how many writers use music to inspire their words.